Analysis of burned antelope bones from caves in Swartkrans, South Africa confirms that Australopithecus robustus and Homo erectus built campfires roughly 1.6 million years ago. Nearby evidence within the Wonderwerk Cave, at the edge of Kalahari Desert, has been called the oldest known controlled fire. Wonderwerk means 'miracle' in Afrikaans. These earlier ancestors probably didn’t even start the fire. The flames were likely ignited by lightning and carried by hand to the mouth of the cave. It was also here and the Apollo 11 cave that the first-ever cave drawings were discovered. What were prehistoric humans trying to convey? There is a ‘shamanism hypothesis’ that cave art was the result of a spiritual journey. ‘Spirtual journey’ by loose definition is shamen experimenting with natural drugs and believing they are travelling to another realm. Researchers noted that cave art looks very similar to the patterns people see whilst on hallucinogenic drugs. However, a more practical explanation is that it was simply a prehistoric pattern seeking. Cave art was a way for prehistoric man to keep track of a changing climate and to record species seen before and preserving the knowledge of them for when they returned. This, he believed, explained why many images showed twisted feet (to record what tracks they made). As advertisers want to know more than click throughs, page impressions, numbers of views, average ages and generic ethnicities, they want to know about the consumer. The consumer. Not – a consumer. They want to hear the stories of those who are really watching their content or not skipping their ad. Not simple aggregation of who might be. 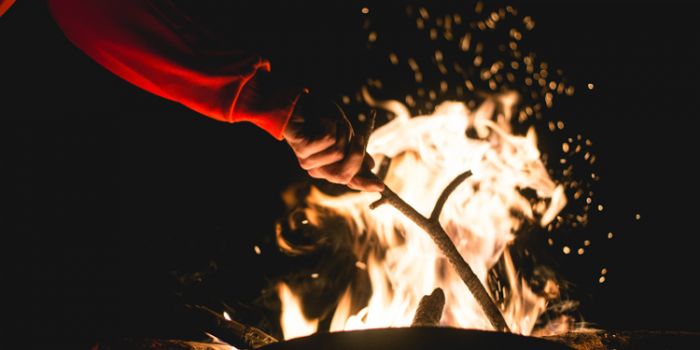 Because they want to know names, faces and who the consumer is and wants to be, more and more public relations, entertainment and media firms are building analytical “campfire” rooms. These are rooms that sit an intimate audience of 20 people. These people use data storytelling with ultra-high definition and touch screens on all surfaces – tables and walls – to tell the stories of the people they are connecting with and also explaining the stories about the people they are not. In the past, content providers and advertisers were simply sent a report portal or a PDF document of PowerPoints that discussed who these people are. Leading this were data journalists. But now this form of data journalism is moving beyond business intelligence reporting of pie charts, bar charts and extending to emotional persuasion to build ‘affinity’ with audiences. Like tracking the movements of woolly mammoths, tracing the evolution of content and how, when themes repeat. See this visualization created by the Google Research that shows the transformation of music and the audiences it impacted. Male versus female versus sexual fluidity versus skin color has less impact on what an audience adopts and more to do with identifying with a generational cluster. Revealing distinct generational gaps has become the Holy Grail in entertainment and advertising world. See this data story showing the distinct characteristic edges of Baby Boomers, Generation X, Millennials and Generation Z. An easy slice and dice of generational demographics is the artifacts each creates. Each generation has its own slang. For the Generation X crowd – mixtapes, for Millennials – memes, and for Generation Z – Snapchats. But one artifact that has impacted all generations in differing ways is selfies. See this data story around the generational differences of taking “selfies”. As climate change impacts us today, so it did our prehistoric ancestors, and we attempt as they did to document trends in order to survive. But more and more, news and current events influence behavior either consciously or subconsiously – exposing fears and hopes. See this interactive data story that reveals relationships between consumer activities and news events. With emotions influenced, these events shape their political beliefs which swings their viewing patterns. See this data story telling the political leanings framed by media bias of the audiences themselves. In today’s age, we focus on cleansing data so much, we scrub off some of the knowledge or any potential insights gleaned. Dirt also tells a story. And the dirtiness of information sometimes reveals hindrances, system lags and unfilled needs that the consumers want satisfied. It’s important with cave art ‘analytics’ and ‘campfire’ meet-ups that you don’t hardwire insights into the presentation. Let them be revealed by the patterns you are exposing. Telling someone what to think is a sure way to get them not believing anything you have said. Everyone has a bit of rebel inside. See this data story around why customers leave and switch mobile phone brands. The beauty of caves is the acoustics. They amplify whispers and make noise sound like thunderclaps. And as a kid growing up, I loved to bounce my own voice to hear what I sounded like. In prehistoric times, echoes might have functioned as a way to remind our ancestors that they were alive. They were real. The same can be said in today’s digital age. If your content makes an impact or creates a bond with an audience, more than the artifacts they create, they will also create their data stories if you empower them. I like to entitle this as a new generational trend called “The Analytics of Me,” where if empowered, consumers will tell you what you want to know. You don’t have to hire data scientists to work in secret, dark server rooms. Show the consumer what you know about them and give the tools to create and share insights about themselves. Guess what? They will do it. That’s when the miracle happens. The audience will do the hard work: transform cardinality into humanity. What humans have been doing since the dawn of recorded time.